One of the most important things we think about when adding cool new features to Artist Shops is that we want your shop to be super customizable, and that the actual process of customizing is super easy. Because that’s the whole point of Artist Shops – to make your lives a little more hassle-free so you have more time to make great art! 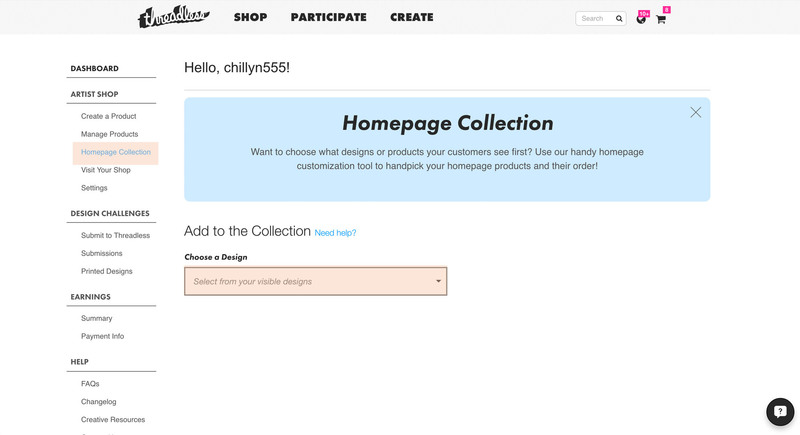 One thing we kept hearing is that people wanted to be able to customize their homepage a little more, like being able to show products right off the bat rather than just the straight-up designs, or being able to change up the order your products appear in on the homepage. Well good news, Artist Shops people! Homepage customization is here! But like I said – we want to make this a super easy, could-do-it-in-your-sleep process. So here’s a visual guide breaking down how to use this rad new feature! First off, what exactly IS this feature? 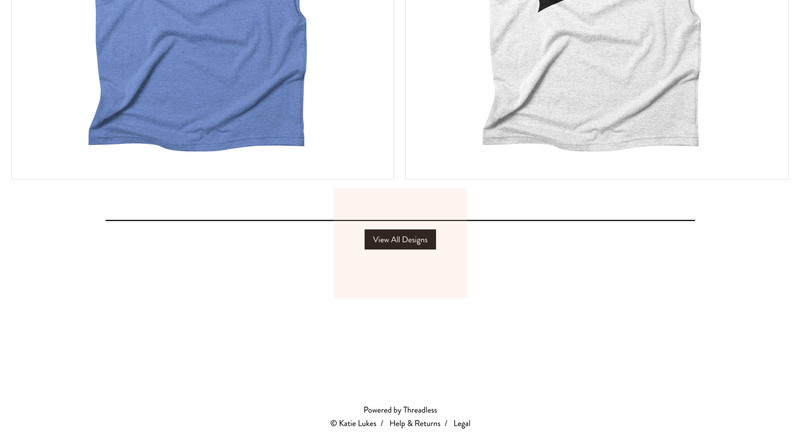 But with this feature, you can not only curate your designs (that is, move them around) – you can also have your designs show up as designs (above) OR as actual products (below). Cool? Cool! Now, moving on to the “how” part (and also check out our lovely artist Katie Lukes’ Artist Shop, pictured above). *My design is in the upper righthand corner of my file because I wanted it to be in the upper righthand corner of the shirt, like a shirt pocket would be. So this is what your product will look like at first when it’s live. 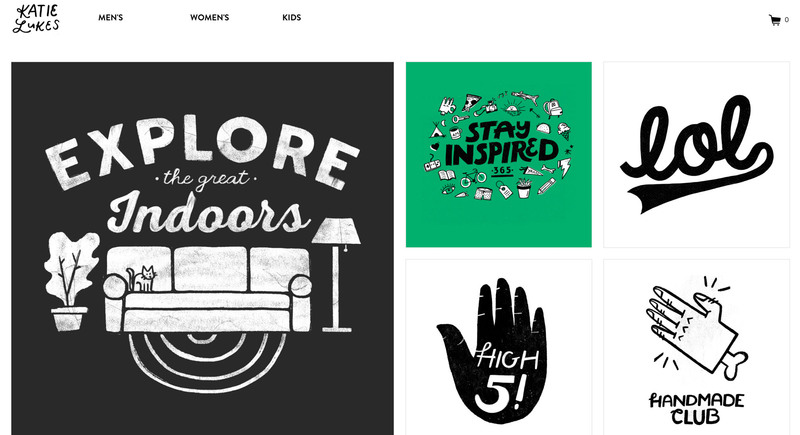 You can’t curate your homepage until your product is visible – I figured that out the long way ’round. So go ahead and unleash your stuff on the world. 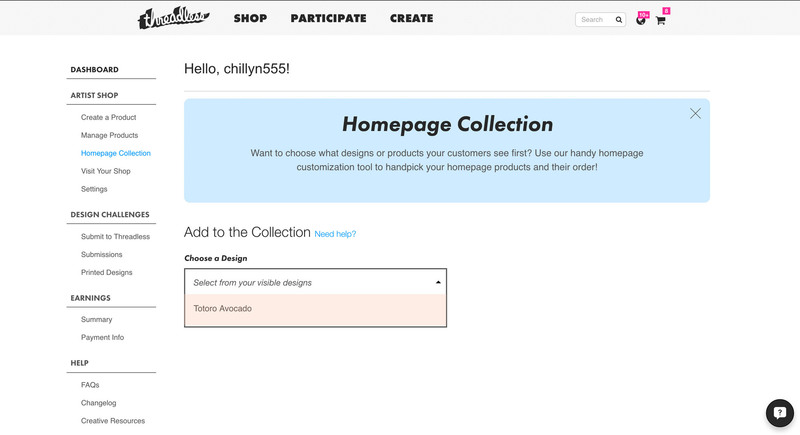 Go to your Artist Shop Dashboard and click on where it says “Homepage Collection” on the lefthand side. This is where you can move around your designs and select whether you want them to appear as products or just the straight-up design. Boom. You’ll see a list of all your designs. 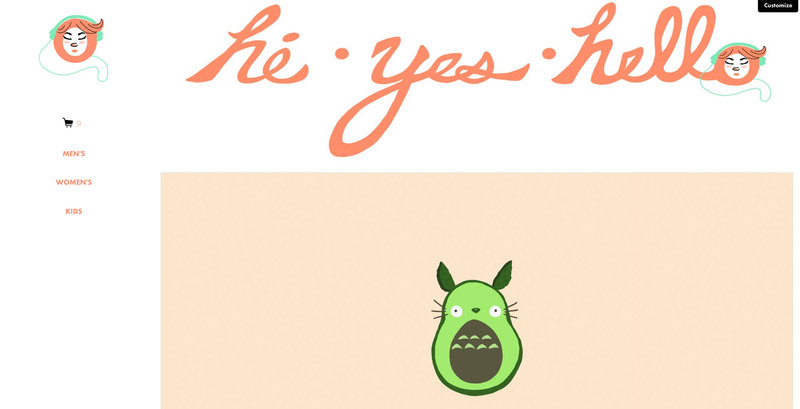 I just have the one, “Totoro Avocado,” but you will hopefully have more to move around and choose from! 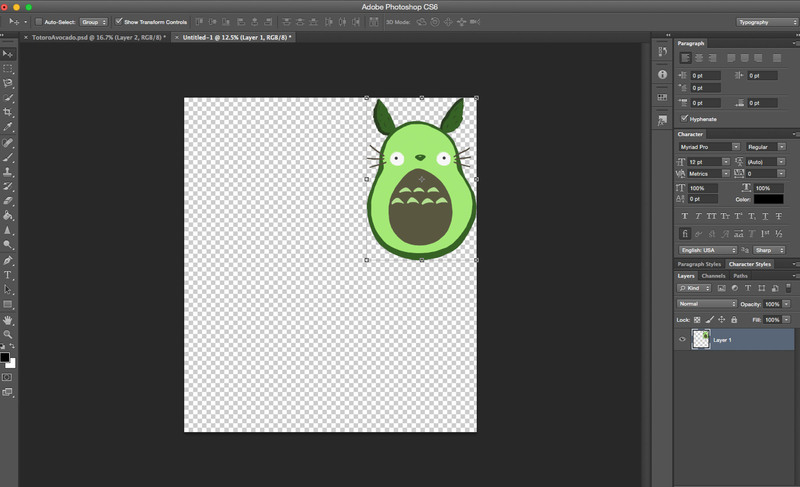 Yours will of course have a drop-down with different names, the names of all of your products…unless you start making all “Totoro Avocados” too…then we need to have a conversation. Now you should get to this screen where you can do all kinds of fun customization! 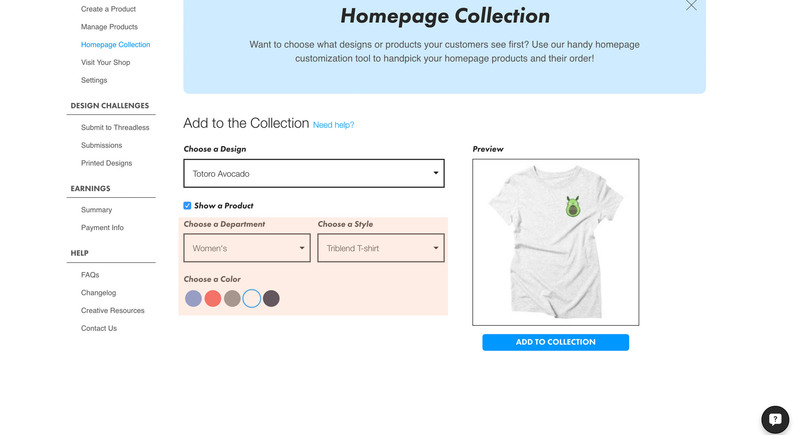 Here I’ve highlighted where you can change your homepage from displaying your product as just a design, to displaying that design on a product. And from there, you can go even further by picking what kind of product you want to display it on, the color, the style, etc. And there you have it! 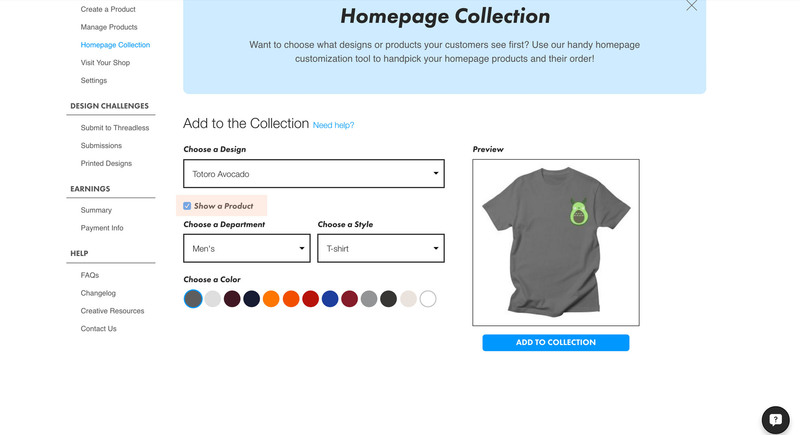 Now your homepage will feature your design on a product and will show you how it will look IRL. So go forth! Have fun with it! And if you don’t have an Artist Shop to customize yet? Well just click here to start one RIGHT now! It’s free, it’s crazy-easy, and it’s really fun. Unfortunately, the system still places the products and images randomly, some small and some way too large (and easy for thieves to snag). I’d love this if I could say I only want images displaying this big and this many per row so they would actually stay in the order I have them in rather than still ending up in that random looking mess. .
We’re working on some new grid options but we have eliminated super large images for thieves to snag. I also would like to see an update of this providing me with the option of separating designs per category or theme. meaning like lets say i want to do a superhero collection the i could place the title for the collection then the designs and then to separate under the designs, i could add another theme like Animals followed by the designs and so on! so pretty much the ability to separate designs by THEME, CATEGORY, and or COLLECTION! This will happen at some time but it’s a bit far off. It’s coming! 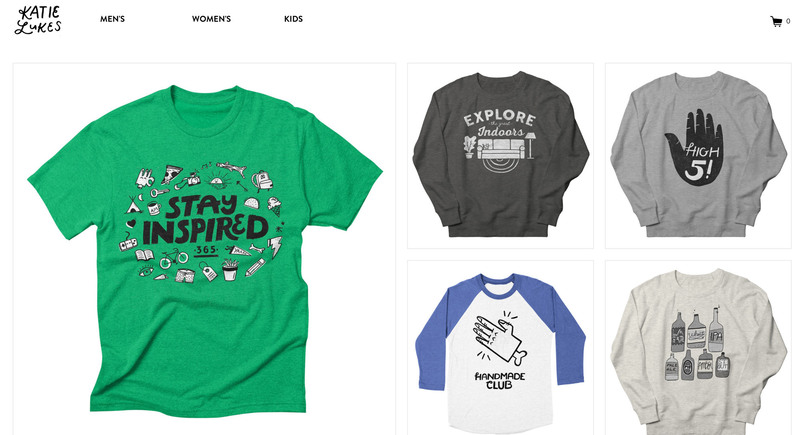 Thanks Threadless for the update… a great improvement. I appreciate progress moves one step at a time… and agree w/ the suggestions from Jolie and Jeffrey as next steps! Yes please can we have an option to separate designs per category or a theme.